231st day of the year. There were then 134 days left in 2018. 60th day of Summer. There were 34 days left till Fall. August 19, 2018 was the 1st day of Hajj (Muslim Obsrvance). 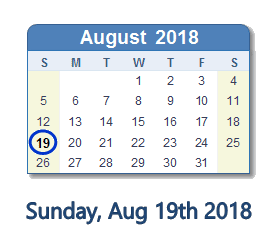 What happened on August 19th 2018?